A Fully responsive website that works from mobile devices through tablet and onto desktop, with no extras and no losses for any party. It was a complete redeisgn from the previous site bringing it's original design forward to adapt to it's new fluid layout. As author of the previous version of the site I had most of the backend up and running as needed, so there were only minor adaptations needed to fit the old features of the site into the new one. 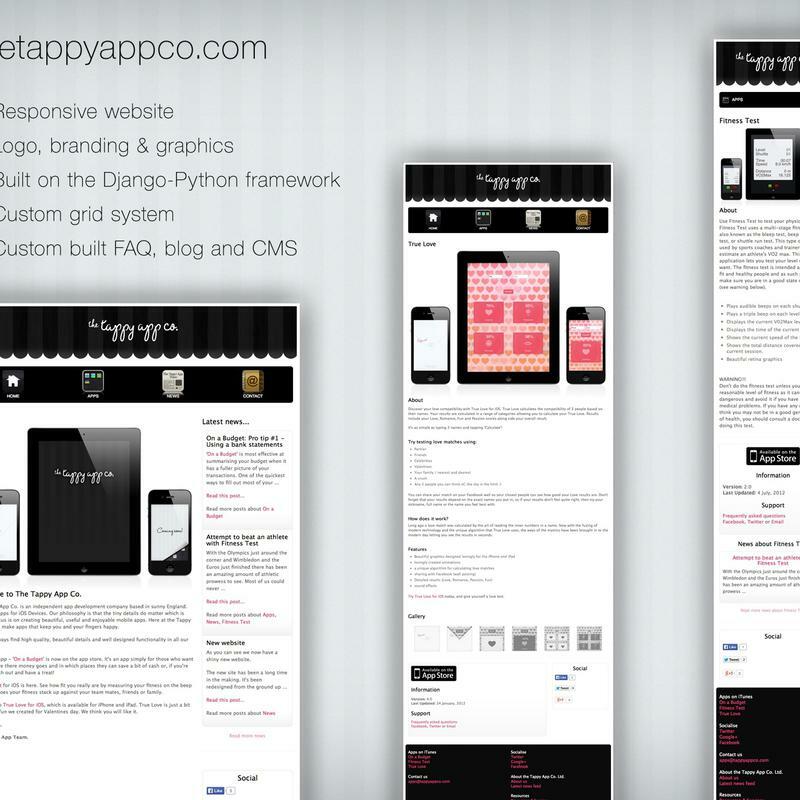 As with most sites that have been up and running for a while it's was easier to adapt around content and workflow so the site had exactly what was needed for the path that the Tappy App Co. Ltd. had settled on for their current work. 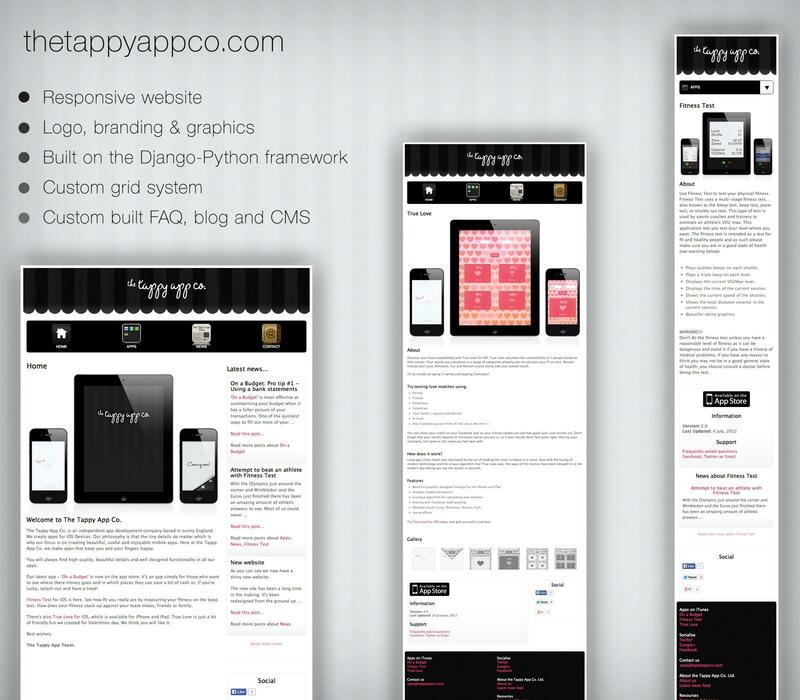 The Tappy App Co. Ltd.